AECT invites you to submit a proposal for the 2019 AECT International Convention in Las Vegas, Nevada. The AECT International Convention brings together participants from around the world, offering practical applications, cutting-edge research, hands-on workshops, and demonstrations of new technologies in teaching and learning. This year’s convention theme is Inspired Professional Learning. Inspired Learning Professionals. Inspired denotes the extraordinary quality of the sessions at our convention, and we endeavor to improve ourselves through exceptional professional learning opportunities. Inspired also denotes to fill someone with the impetus or ability to do or feel, especially with creativity. As educators and learning professionals, we hope the convention sessions will inspire you to do and feel, so we desperately need influential, stimulating, exciting sessions that will spark fires in our attendees. We encourage proposals that offer opportunities for AECT members to seek out professional development sessions, occasions for improving pedagogical strategies and technical skills, and engage in professional renewal. Reports of research, practice, evaluations, service, and pedagogy are all welcome. Proposers should attempt to address this theme in their proposals, highlighting where the proposal addresses this theme. Take this opportunity to connect with your peers! The goal of the convention is for participants from around the world to learn from the experiences and activities of the convention, enriching their professional lives. We are very interested in your research and practice in the field of instructional design and technology. Proposals Open – December 16, 2018 Proposals Close – February 18, 11:55 PM (PST), 2019 (There will be no deadline extension.) The review process by divisions and affiliates will be completed by the end of April. Check with division and affiliate leaders with regard to their specific peer review process and dates. The Center for Feminist Research at the University of Southern California (USC) invites submissions of paper proposals for our 2019 Internationality Intersectionality Conference to be held on March 6-8, 2019 on the campus of USC in Los Angeles, CA. Papers presented will be considered for inclusion in a forthcoming Handbook of Intersectionality co-edited by Ange-Marie Hancock Alfaro and Nira Yuval-Davis. This year’s conference theme, “Intersectional Echoes: Cross-Generational Practices and Knowledge Production,” will focus on approaches to intersectional research over time, emphasizing the role of intersectional research in shaping the scope of cutting-edge work across disciplines including but not limited to political science, public health, sociology, psychology, feminist media studies, ethnic studies, literature, social movements, law and public policy. As we plan our conference in Southern California, a geographic area with a rich cultural history long before European contact, we are mindful of the multi-various ways that power is structured through space and place and how those structures interact with race, gender, gender-identity, nationality, class, [dis]ability, and sexuality. “Intersectional Echoes: Cross-Generational Practices and Knowledge Production” will explore the history of intersectional research, challenges that drive the field today, and ways to build up intersectional and cross-generational networks for the future. While the notion of echoes conjures up important thinking about haunting and the past, our theme includes and welcomes engagements with non-Western, nonlinear, and non-capitalist temporalities. The CAPAL call for proposals deadline has been extended to January 7th! A final reminder will be sent in early January. The Canadian Association of Professional Academic Librarians (CAPAL) invites you to participate in its annual conference, to be held as part of the Congress of the Humanities and Social Sciences 2019 at the University of British Columbia on the traditional, ancestral, and unceded territory of the xʷməθkʷəy̓ əm (Musqueam) people. This conference offers librarians and allied professionals across all disciplines an alternative space to share research and scholarship, challenge current thinking about professional issues, and forge new relationships. In keeping with the Congress 2019 theme, Circles of Conversation, the theme of CAPAL19 is Politics of Conversation: Identity, Community, and Communication. This conference provides an opportunity for the academic library community to critically examine and discuss the ways in which our profession is influenced by its social, political, and economic environments. By considering academic librarianship within its historical contexts, its presents, and its possible futures, and by situating it within evolving cultural frameworks and structures of power, we can better understand the ways in which academic librarianship may reflect, reinforce, or challenge these contexts both positively and negatively. In what kinds of conversation are we or are we not engaging within the profession, academia, and civil society? How are the various identities that constitute our communities reflected (or not) within academic librarianship, and how do we engage in conversations within our own communities and with communities that we may see as external. · Diversity: how do we ensure our circles (communities, spaces) are diverse? What are the circles available to librarians, and how do we ensure that librarians are not circumscribed by their identities within these circles? This could apply both to academic vs. public librarianship, or academic librarian vs. the broader academic community, but perhaps more importantly, it could ask these questions with respect to women, people of colour, and Indigenous librarians. · Intellectual and academic freedom: How do we define our responsibilities and our liberties in these areas? Are these positive or negative freedoms, especially with respect to broader communities? · “Imagined Communities”: It is the 35th anniversary of Benedict Anderson’s Imagined Communities. How do librarians see themselves in various “imagined communities” (nationality, community of practice, inter- and cross-disciplinary), and what are the politics of our participation? · Conversations outside the circles: how do we make our research relevant outside LIS? Is this different for different kinds of research? How do we bring public values and ideas into our work and research? · Labour and solidarity: how to we organize ourselves within academic librarianship; how do we connect our conversations with other library workers, other academic workers, other workers as a whole. · Conversations within practice/praxis: how are communications and connections established and maintained with the profession and between academic librarians and administrators, faculty, students, and other researchers. The Program Committee invites proposals for individual papers as well as proposals for panel submissions of three papers. Proposed papers must be original and not have been published elsewhere. · Individual papers are typically 20 minutes in length. For individual papers, please submit an abstract of no more than 400 words and a presentation title, with a brief biographical statement and your contact information. · For complete panels, please submit a panel abstract of no more than 400 words as well as a list of all participants and brief biographical statements, and a separate abstract of no more than 400 words for each presenter. Please identify and provide participants’ contact information for the panel organizer. At ALA Annual 2019 in Washington, D.C., the Library Instruction Round Table (LIRT) will host a preconference exploring how libraries of all types can best serve adult learners. We are seeking volunteer panelists for this program. Three sessions will explore different aspects of libraries’ service to this community. If you are interested in presenting, please submit an abstract (of no more than 150 words) indicating in which session you would be interested in participating and explaining what you would plan to present. Please also include the name of the library location where you work. Please submit your abstract by January 25th, 2019 via email to the respective committee member indicated below. Session #1: Secret Lives of Online Learners. Panel of 2 librarians who support online/distance learners, as well as 2 actual adult learners enrolled in online courses. Please submit abstract to Mark Robison (mark.robison@nd.edu). Session #2: Designing Instruction That’s Right for Adults. Panel of 3 librarians and/or instructional designers who can speak to specific lesson plans and activities that they have used with adult learners. Will also include a workshop component, where participants can get feedback on real lesson plans or instruction ideas. Please submit abstract to Ted Intarabumrung (tintarabumrung@rcc.mass.edu). Abstracts will be reviewed by the LIRT Adult Learners Committee. Finalists will be notified by February 15th, 2019. Further details about the preconference are provided below. 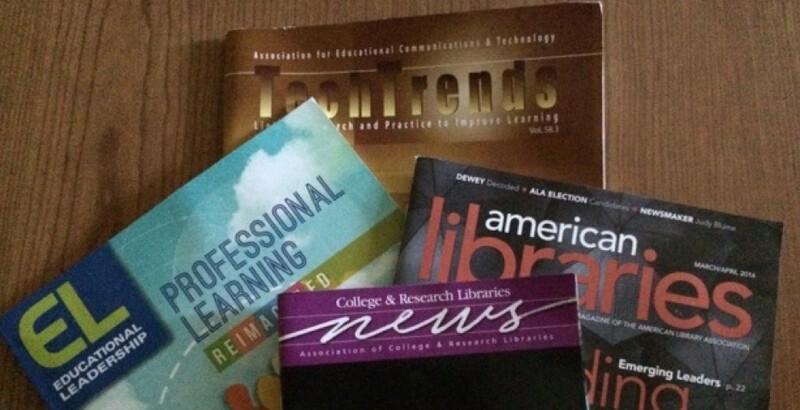 Libraries of all types are seeing increased usage from adult learners. As these numbers continue to rise, cultivating effective information literacy practices in these learners is becoming increasingly critical. In this preconference, you will learn how libraries can best support adult learners. Tactics for engaging adult patrons through successful programming and marketing strategies. This preconference will be of interest to librarians in both public and academic libraries as well as librarians working in any setting with adult learners. The preconference will include speakers from a variety of library settings, sharing their perspective on supporting adult learners. Refreshments will be provided. This preconference is presented by the LIRT Adult Learners Committee. Are you a librarian with experience with accessibility, creation of online learning objects, and applying Universal Design for Learning (UDL)? Then we want to hear from you! The ACRL Distance Learning Section (DLS) has teamed up with the ACRL Instruction Section (IS) and are looking for panelists with accessibility, online library materials, and UDL experience to participate in our panel at 2019 ALA Annual in Washington D.C., entitled Accessibility and Creation of Online Library Materials: Applying Universal Design for Learning (UDL). If you are interested, please fill out this submission form. Applications due Friday, December 21st at 5pm, selected panelists will be notified in early January 2019. Inspire others with quick glimpses at your latest innovations, interesting ideas, and new technologies or services. The sky is the limit! Each five-minute Lightning Talk will require you to create a maximum of 20 slides that advance automatically every 15 seconds. Submit your 150-word proposal by Wednesday, January 16, 2019. It’s that quick and easy! The top proposals will be chosen by the ACRL 2019 Innovations Committee. Winners will be determined by popular vote. The PaLA Teaching, Learning, and Technology (TL&T) Round Table is seeking lightning round presenters for a 1-day, in-person workshop centered about the use of technology as it relates to communication with, or education of, patrons/stakeholders in their libraries. The workshop will be conducted on the campus of Penn State University in State College, PA on May 6, 2019. Topics should focus on communication and technology use in any type of library. Presentations should be no more than 5-7 minutes in length. If you are interested in presenting, please submit your proposal idea via the online form. Proposals must be received no later than February 8, and accepted entries will be notified by the week of March 18. Further information about the conference, as well as Congress 2019 more broadly, will be available soon.